Regardless of whether you’re a veteran vegan or you’re new to the vegan lifestyle, it’s likely that you stay on the lookout for delicious alternatives to fill your kitchen cupboards with. Aside from your store cupboard regulars such as flour, oil and rice, there are a whole host of vegan-friendly ingredients to add to your pantry that will help you add flavour, texture and protein to your meals with ease! Below are some of our favourite flavourful ingredients for your store cupboards that not only taste good, but will also add nutritional value to your meals. Fresh produce is packed with essential nutrients and tastes great. That’s why it’s always a good idea to have your fridge stocked up with some of your favourite products. However, these products usually have a shorter shelf-life, so it’s beneficial to have some dried goods in your store cupboards to complement your fresh produce, or to use when you don’t have the time to nip to the local shop. Eating a healthy, balanced diet is essential to have you looking and feeling your best, and by stocking up your store cupboard with foods that are rich in these essential nutrients, you’ll be able to do just that with ease! Fortunately, there are a wealth of options to choose from that are free from animal products, easy to cook, non-perishable, nutritious, and of course, delicious! 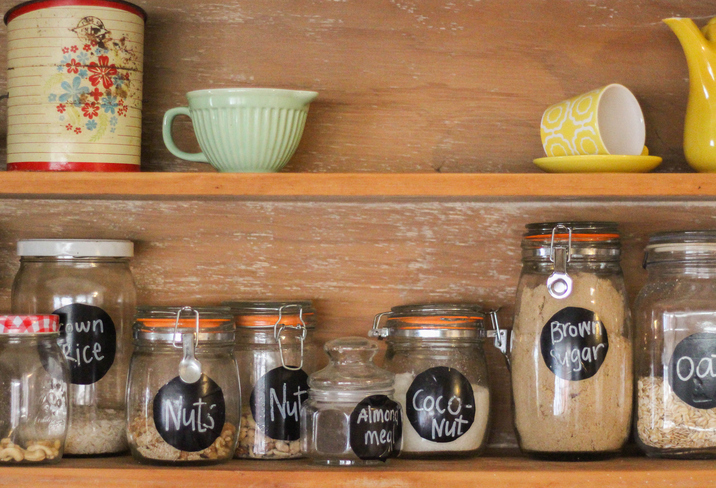 Read on to discover some of the key vegan-friendly ingredients to have in your pantry. If you’re looking to make the most of your pantry space and want a healthy, filling top-up for your meals, you might want to ditch the tinned beans in favour of their dried counterparts. Dried beans are not only affordable, they’re easy to make and can add a boost of protein to your meals. 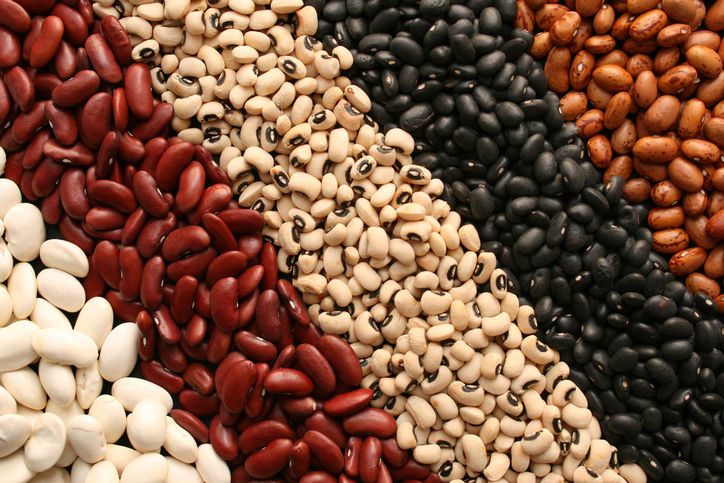 Dried soybeans, lentils and black beans are all great sources of protein. Simply soak your beans overnight in water and add them to a stew or soup, to give your meals a nutritional boost. Agar flakes or powder can be made into a gelling agent which is similar to gelatin, but is vegan-friendly because it is derived from red algae rather than from animal products. Both the flakes and the powder can be dissolved in water or added to sauces to thicken them, and they can be used in any recipes in place of gelatin, like this tasty pana cotta recipe. Simply keep this tucked away in your store cupboard so that it’s ready to go whenever you want to make your favourite sweet dessert treats. These days there is an enormous range of non-dairy milk alternatives available on the market, and better yet, they taste just as good if not better than their dairy equivalents! 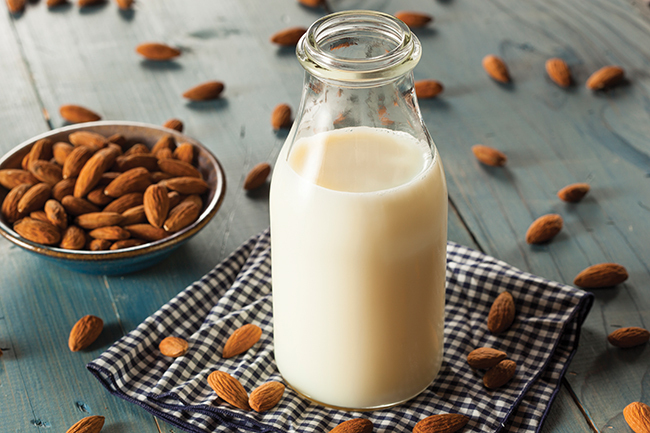 From almond, hazelnut, cashew and oat milk to walnut, hemp and even pea milk, we’re spoilt for choice nowadays. With so much choice available it can be difficult to know which milk works best in which recipe, so if you want to know which milk will work best in a particular recipe then be sure to take a look at our handy guide. Opt for coconut milk to add thickness and creaminess to vegan dishes like curries, or alternatively switch to soy milk for a protein-packed alternative to dairy milk. If you’re looking for the perfect vegan milk for tea, you can now find a range of milks such as oat and soya that have been specifically designed to be used in hot drinks to stop curdling. If you’re new to miso paste, it is a traditional Japanese seasoning made from fermented soybeans. While this isn’t strictly for your store cupboard, as it should be kept in the refrigerator, it’s still a great tool to utilise to add depth and flavour to soups and meals. If you’re making a vegan cheese sauce then adding a teaspoon of miso paste to the mixture will give your cheese sauce a lovely tang and depth of flavour. Not only this, but miso is a great source of probiotics, enzymes, vitamins and minerals, so you’ll benefit from a boost of healthy bacteria if you add this to your vegan diet. Flax seeds, also known as ‘the original superfood’, are a great way to up the nutritional value of almost any meal. Whether you have a taste for sweet or savoury foods, adding a sprinkling of ground flax seeds will add fibre, omega-3 fatty acids, vitamins and antioxidants to your dishes. Did you know you can also use ground flax seeds as an egg substitute? Simply add ground flax seeds to water to create an egg-like binding agent to use in your favourite baking recipes! Chia seeds also make a great egg substitute and are a good source of omega-3. Keeping the right nutrients to hand can help give your body enough nutritional support for your vegan diet. Vegan supplements, such as a select few within the range from Vitabiotics, can give your body a little helping hand, providing you with all the right vitamins and minerals to support functions in the body and maintain all-round health. Many people often believe vegan diets to be lacking in essential vitamins and minerals, but if you’re eating a well-balanced diet full of nutritionally dense food then there’s no need to panic that you’re deficient. 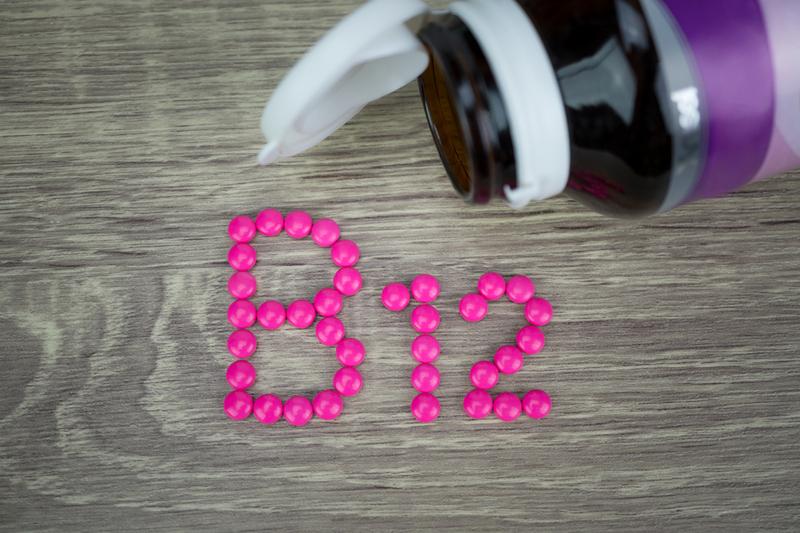 However, there are a couple of essential nutrients that it’s important to asses through a blood test are B12 and vitamin D. Regardless of our diet, many of us don’t get enough of these nutrients as they aren’t widely present in food sources and in soil, but in fact meat-eaters should also ensure that they are taking regular B12 supplements as they can often be deficient too. If you want to read more about supplements, then check out our guide here. Grains, specifically whole grains, are the perfect food to add to a varied vegan diet. If you’re new to veganism, it can be easy to fall into the trap of increasing your intake of less healthy refined grains such as cereals, breads and pasta. However, by simply stocking up your pantry with healthy whole grains, you can make healthier choices with ease and not miss out on these filling foods. Switching your white rice for brown rice, opting for whole oats for breakfast and stocking up on couscous are just a few of the ways that you can introduce healthy grains into your vegan diet. If you’ve recently switched to a vegan diet and you’re missing the taste of honey, agave nectar, also known as agave syrup, is the ideal cruelty-free alternative to honey from bees. This sweet nectar is made from several species of the agave plant, so you can be sure that no animals were harmed in its production. 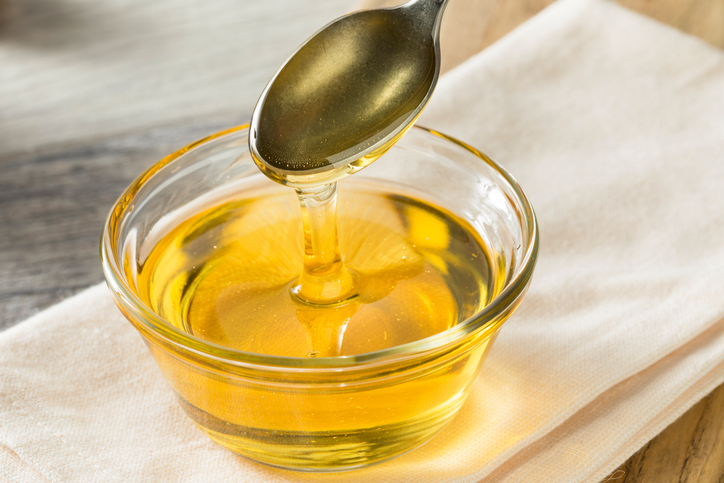 Agave nectar is also sweeter than honey and comes in different varieties offering different tastes, so it’s worth shopping around to see which type takes your fancy. Whilst vegan cuisine may be lacking in meat and dairy, that’s not to say it’s lacking in taste, far from it in fact! The key to making delicious vegan dishes is to experiment with all the delicious herbs and spices on offer. Keeping your store cupboard well stocked with a myriad of different spices will make cooking a breeze as you’ll be able to whip up delicious, flavoursome dishes using ingredients you already have at home. 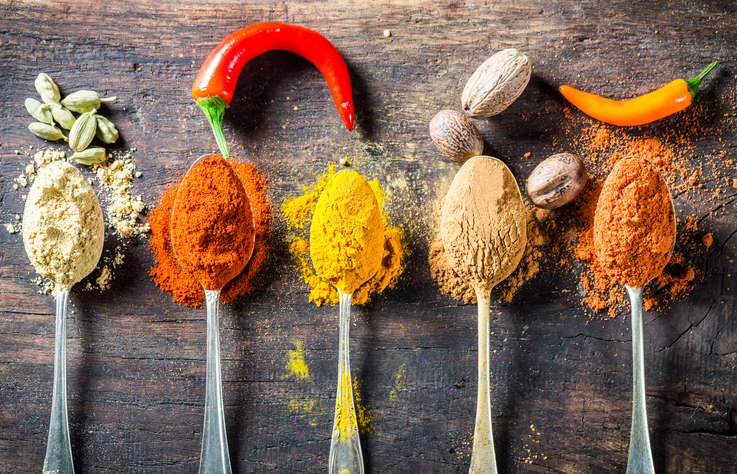 Some essential herbs and spices that we always have on hand include paprika (smoked and unsmoked), cumin, coriander, cinnamon, cayenne pepper, oregano, garam masala, ras el hanout, black onion seeds, fennel seeds and turmeric. Last but not least, nutritional yeast is the final product to add to your supermarket shopping list, if you don’t have this in your pantry already. This is a deactivated version of the yeast you would normally use to bake bread, therefore it will not ferment or froth and it won’t make doughs rise. Nutritional yeast has a nutty and somewhat cheesy flavour, which is why many vegans sprinkle this on pasta or add it to sauces when making cheesey dishes. It is also low in fat and sugar, and contains a high amount of vitamin B12 – however this can vary between manufacturers, so it’s best to check the packaging before buying. Are there any store cupboard essentials that you can’t live without? Let us know in the comments below!